JUMLA, Jan 28: Heavy snowfall since a couple of days has affected much of the mountainous districts across the country, bringing life to a standstill on Sunday. Snowfall was reported from Manang, Dadeldhura, Jumla and Rasuwa among other districts. 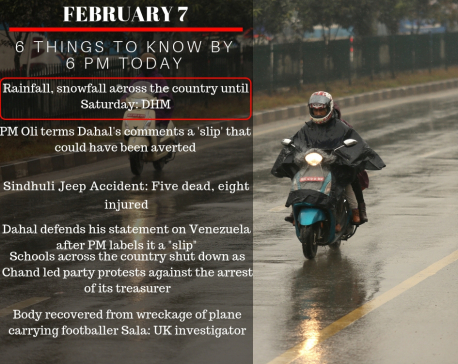 It brought mixed reactions from the residents of the affected area, depending on how it impacted them. 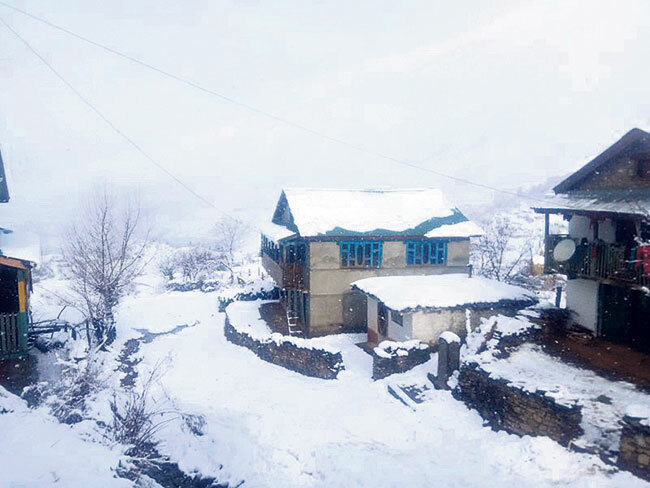 Snowfall since the past few days has paralyzed an important trade hub in Rasuwa. Import and export to and from the northern neighbor China have completely halted as a result. Consignment trucks set to bring goods from China are still stuck in Kerung. Likewise, trucks from the Nepali side have also not been able to cross the border into China. “None of the trucks in queue have crossed the border since January 24,” informed a local entrepreneur Purushotam Paudel. 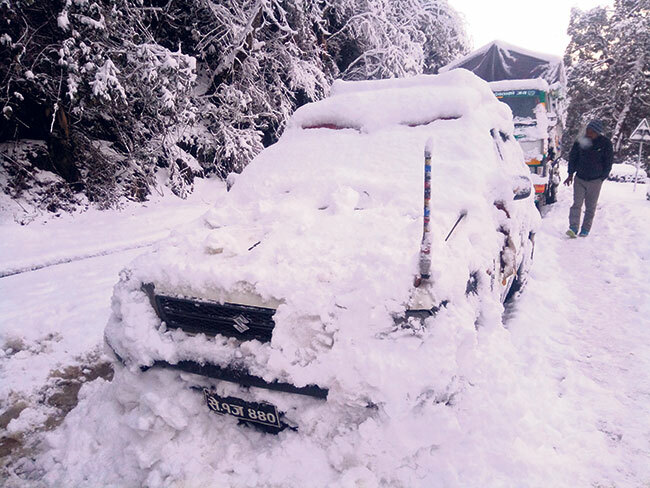 Continuous snowfall on both sides of the border has made it impossible for vehicles to operate along the vital trade route. According to him, there are around 150 trucks in the Chinese side of the border waiting to cross into Nepal but they are stuck due to snowfall in Kerung. “Most of those trucks are stuck in Jhungkha while trucks from Nepal are in Mulahadada,” he added. This latest snowfall in Manang is the heaviest in the district since the past 15 years. It has been snowing there since last Tuesday. 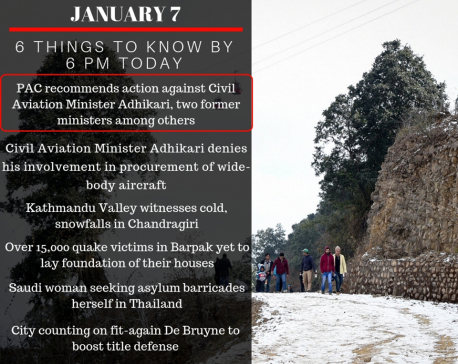 The initial excitement of the locals have now fizzled out as even the residents in the lower areas of the district have started facing difficulties due to the thick layer of snow and increasing cold. According to the locals, their livelihood and income generating activities are severely hampered. Likewise, transportation has come to a complete halt while the access to government services has also been blocked as a result. “The district’s lifeline has been cut off. 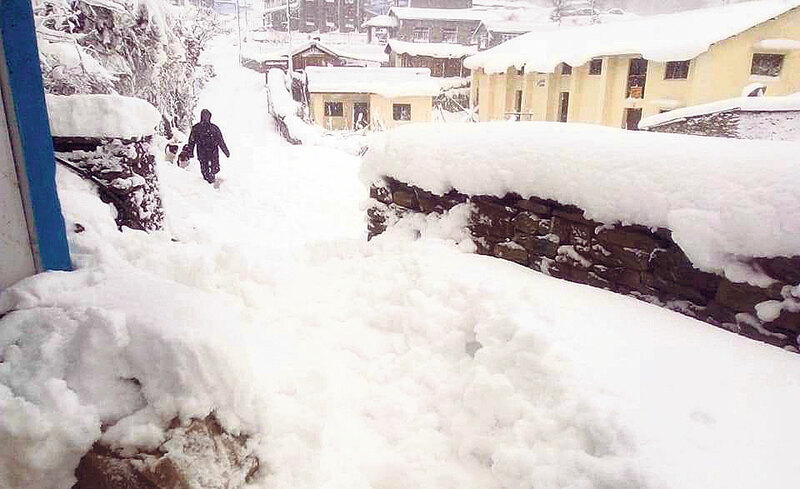 In my memory, this is the longest and the heaviest snowfall in Manang,” said Chief District Officer Rudranath Devkota. The neighboring Lamjung is also affected by prolonged snowfall. People living in the highlands of the district are reeling under cold and struggling to keep themselves warm. Most of the ponds and lakes in the area have frozen. Homes in Jumla district headquarters pictured on Sunday. Jumla in the western region is also reeling under the impact of heavy snowfall. It has been snowing there incessantly since the past five days. Livelihoods have been hit hard. Most of the marketplaces, including the district headquarters Khalanga and Tukre Bazaar remain closed. Service seekers have limited their visits to government offices and other organizations. Even media in the remote areas running via solar energy are forced to shorten their broadcast time. Despite the negative impact in overall livelihood of the district, farmers have expressed their delight at the snowfall which is expected to yield good harvest. Purna Singh Kathayat of Chandannath Municipality-5 said snowfall has revived their dying winter crops.